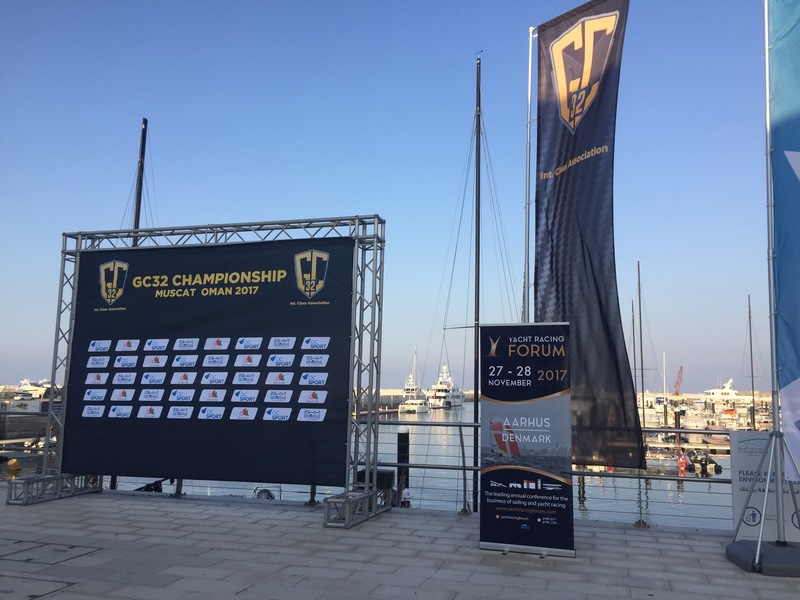 MaxComm Communication was in Oman this week for the GC32 championship, which gathered both the GC32 Racing Tour and Extreme Sailing series teams. The opportunity for Sophia Urban to cover Team Tilt’s first regatta with the team that will represent Switzerland in the Red Bull Youth America’s Cup in June. The goal was also to promote the Yacht Racing Forum, which will take place in Aarhus in November and will reassemble the key actors from with the yacht racing industry worldwide.